When I climbed Mt. 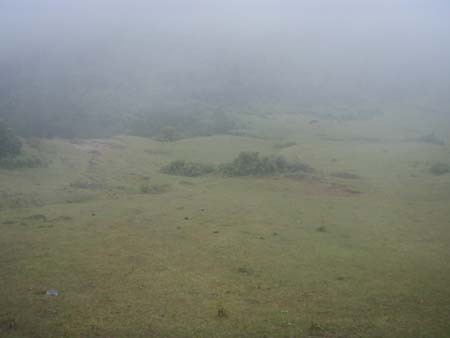 Pulag for my birthday in 2005, it started an annual tradition of doing something memorable for my birthday. 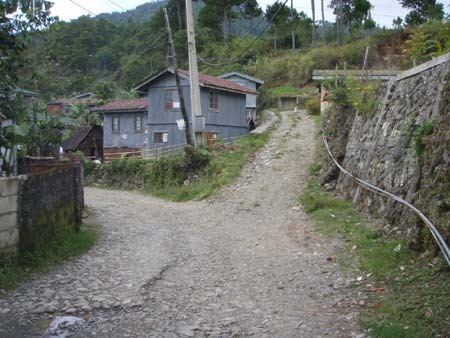 In 2006, I bombed downhill from Sagada to Dantay, riding as fast as I could, and upon reaching the bottom, climbed up without stopping or dismounting. What now for 2007? I was choosing between 2 options. 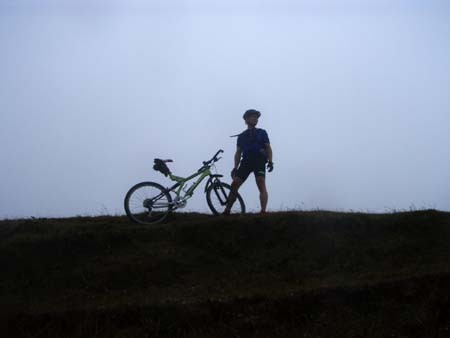 One was to do an epic ride that would take me from Sagada, to Besao, to Sumadel, to Tadian, to Halsema Highway, Dantay and back to Sagada - a long stretch of mountain climbs and descents spanning a whole day. 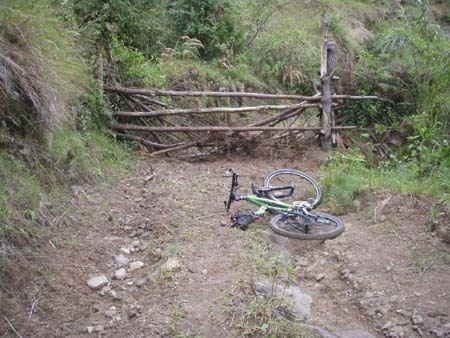 Problem was, I haven't ridden that trail before and getting lost was a looming predicament. This is a difficult ride, but doable. 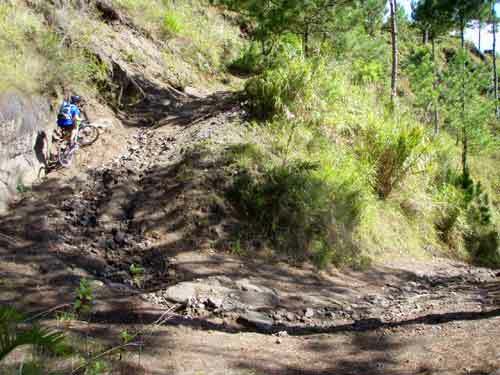 The other option was to ride perhaps the most brutal climb in all of Sagada - going up Mt. 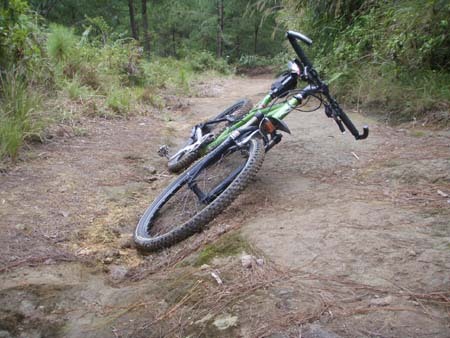 Ampacao saddle (the peak is not rideable) from Ambasing...non-stop. Sure, I've climbed it several times in the past, but never non-stop. I don't know of anyone who has done it or can do it. It's an almost frontal assault on the mountain. 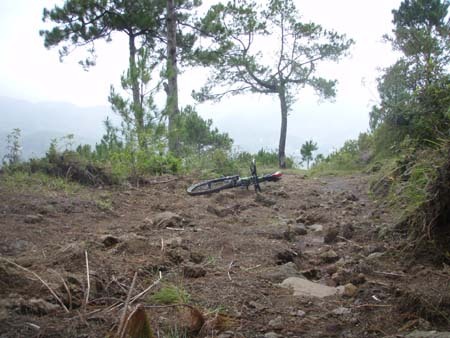 The road trail is unrelentingly steep, rocky, slippery, clayish, lots of deep ruts and technical. This is obviously not as tiring as option 1 (because it's not a whole day ride), but unlike option 1, I'm not sure if this one is doable. Without stopping? Given the 2 weeks I'd been training from Suyo to Poblacion, I took this option. Unlike most mornings this time of year, it was overcast with the threat of rain. I went for it anyway. I was careful not to run out of steam so I stayed on my granny (lowest gear) the entire time trying to economize as much as I can. Around 1/5 into the ride, I encountered the first super-steep section. Despite attacking to create momentum to push me up, my rear wheel kept slipping and my front wheel was wandering all over the place, I couldn't stay on my line. I kept spinning, trying to keep my balance as my wheel was losing traction. It was somehow a valiant effort but proved useless. I was violently thrown off my bike - my first dismount. Actually, one of many that was to come. 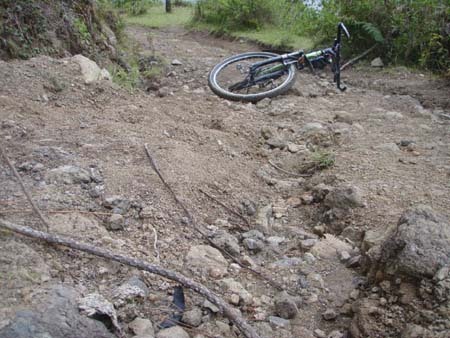 One of the problems being forced to dismount on a steep section, is how to get back on the bike. I would have to do a track-stand (because I cannot roll forward), clip into my pedals and start climbing from a dead stop. I know some pros can do it. But not me...I tried, sometimes, only to fall again...and again. It was humbling. I had to push the bike to a relatively flatish area for me to mount and ride again. I would get by on steep climbs. But on the ultra-steep ones, the same story happens - my wheels would spin on the rocks, or my front-end would lift up and I'd lose my steering and end up in a deep rut and fall. It didn't help that I'd be riding on my bar ends and bending so low I could almost kiss the handle bar, just to weight down my front tire, but I'd still feel it lifting up. Because I wouldn't bail when I have to, sometimes, I fall down with the bike. After 48 minutes, I finally reached the saddle. The winds were strong and there was a faint drizzle. Being soaked with perpiration and exhausted, I felt the chill - time to head down. That was my treat. 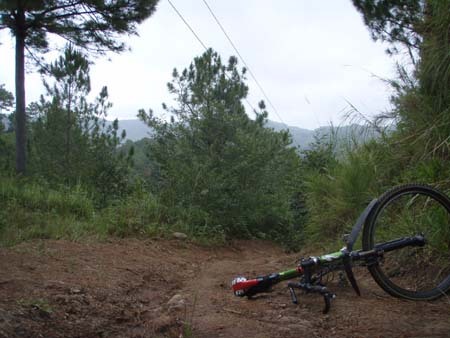 The downhill was exciting and fun as much as climbing up was brutal and unforgiving. When I tried climbing it as a dry run 2 days ago with Joey, I was forced to dismount several times. I was already thinking, this is nuts! Humbled? Yes. Broken? Nah...I'll keep climbing this mountain. 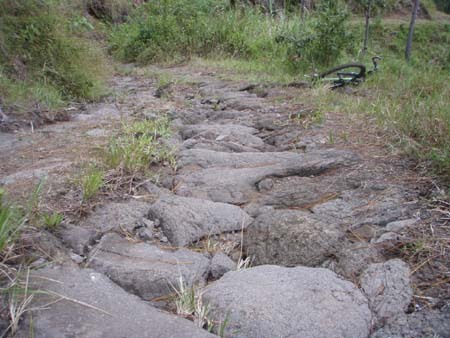 I'll need good tires, a finely tuned bike, and lots of sun to dry up the trails. Next time, I'll dismount less...and less...until I nail the whole thing up to the saddle (ha-ha...a big maybe!). But if there is anyone who can do it, I'd like to take a front-row seat and watch how it's done. Hmmm...maybe my friends from La Treo....they eat climbs for breakfast! (Oct 29, 2007) Jouyeuse Anniversaire, LoneRider! (Oct 29, 2007) Great ride LoneRider! 13 days late, but I hope you're still having fun since your birthday! (Oct 20, 2007) Happy birthday!! It's a bit late greeting. I hope your wishes come true. (Oct 17, 2007) Happy Birthday to you too! I know it's around mine... when? Regardless, I hope it was or will be happy. Thanks so much for remembering me. (Oct 16, 2007) woooh! ang dami may birthday! HBD!! (16 Oct 2007) Haberday!!! Musta na ang abs? ( 16 Oct 2007) thanks also to TheLoneRider for the tomb raider pic ;) Anyway it's your birthday! Hehe sorry I couldn't oblige you with a pic- I don't have enough photoshop skills yet. 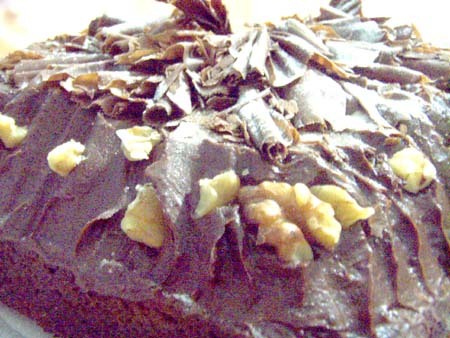 (Oct 16, 2007) Happy Birthday my dear LoneRider! (Oct 15, 2007) advance happy birthday, LoneRider!!! (Oct 15, 2007) happy birthday! (9 Oct 2007) happy birthday din sayo today! !